Time: 9:30 – 11:30 Wednesdays during term time. Please see the table at the foot of this page for term dates. 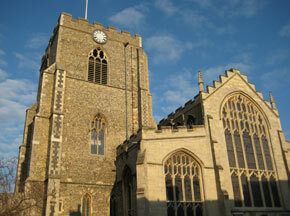 Place: The Hyndman Centre, next to St Peter’s Church (car parking is available). Cost: £1.50 subscription per half term plus 50p per week for one parent/carer and one child, and 25p per week for any additional adults or children over 1 year. Little Fishes provides a warm, friendly and supportive atmosphere for parents and carers with their children. Each week there can be craft, story and song times, and refreshments, as well as plenty of time for children to play with the toys and activity equipment. 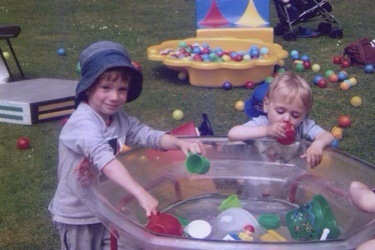 During the summer we use the grounds of St Peter’s Church for extra activities, including water play. Special events are organised throughout the year, which include special activity services in St Peter’s Church at Christmas, Easter and Harvest, a summer Teddy Bears Picnic with bouncy castle and an annual trip to Banham Zoo. Sheila, Heather and Trish all wear many hats! If you would like to know more, or would like to come along, ring the Parish Office in the first instance on 01284 754680 or email parish office and we will put you in touch with Rosie or one of the team. We do currently have a waiting list but we will fit you in as quickly as we are able to. Special Cafe Church Service for all ages on 3 February, 3 March, 7 April, 5 May, 2 June, 7 July at 10:45am in St Peter’s (refreshments are served from 10:30am). Sunday@4 Goes Messy at 4pm in St Peter’s Church on the third Sunday of each month (20 January, 17 February, 17 March). Lots of messy fun, stories and singing and a cooked tea for all the family. Adventurers on a Sunday on the 2nd and 4th Sunday of each month. Everyone welcome. Come with the children and stay in church or join us for Adventurers fun. 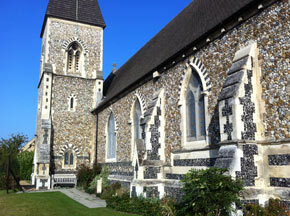 Alternatively, sign the children in and pick them up after the service (children who are already at school only). 6 March Flip your pancake! 27 March Mummy you are the best!